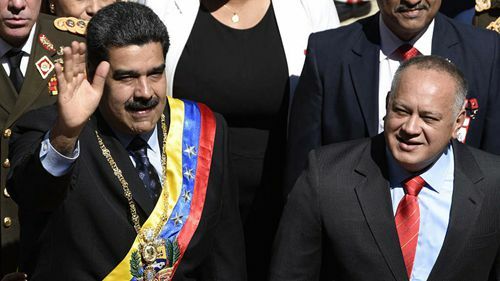 Venezuelan President Nicolas Maduro said on Wednesday he was breaking diplomatic relations with the United States, after the Trump administration recognized opposition leader Juan Guaido as the South American country's interim president. Speaking to supporters outside the Miraflores presidential palace in Caracas, Maduro said he would give US diplomatic personnel 72 hours to leave Venezuela, which is suffering from a hyperinflationary economic collapse. Trump said on Wednesday that the United States had recognized Guaido as the nation's "interim president," a move that came after Nicolas Maduro was inaugurated as president of the Latin American country earlier this month. Also on Wednesday, US Secretary of State Mike Pompeo reiterated in a statement that the United States would cooperate with other members of the international community to deal with the situation in Venezuela.